The Altes Museum, built between 1823 and 1830 and designed by Karl Friedrich Schinkel, is one of the most important works of Neoclassical architecture. With its clearly ordered exterior and an interior structure designed with exacting precision in the ancient Greek style, Schinkel pursued Humboldt’s idea of opening the museum as an educational institution for the public. 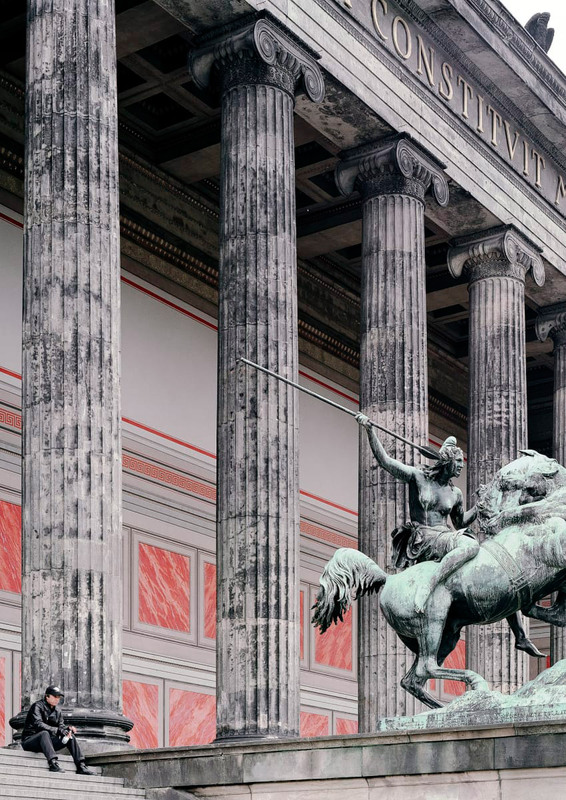 The Altes Museum (German for Old Museum) is a museum building on Museum Island in Berlin, Germany. Since restoration work in 2010/11, it houses the Antikensammlung (antiquities collection) of the Berlin State Museums. The museum building was built between 1823 and 1830 by the architect Karl Friedrich Schinkel in the neoclassical style to house the Prussian royal family’s art collection. 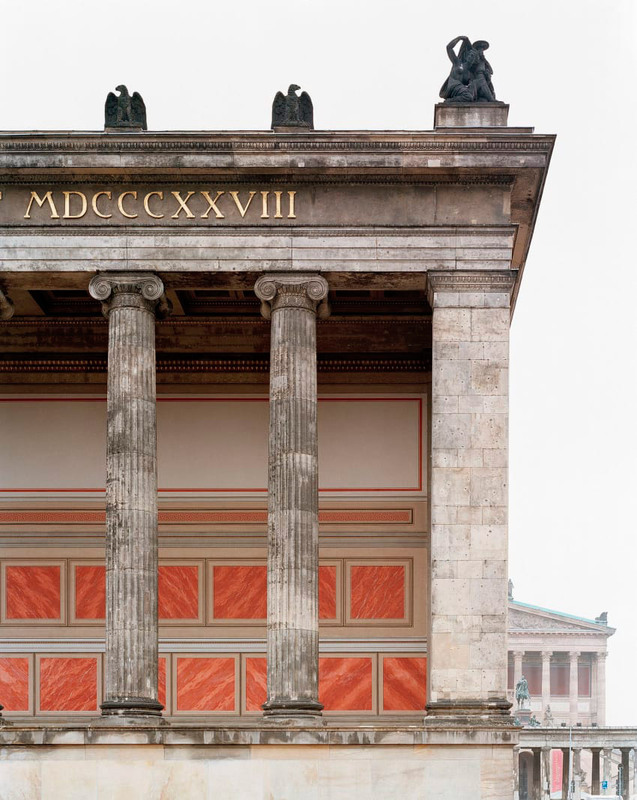 The historic, protected building counts among the most distinguished in neoclassicism and is a high point of Schinkel’s career. Until 1845, it was called the Königliches Museum (Royal Museum). Along with the other museums and historic buildings on Museum Island, the Altes Museum was designated an UNESCO World Heritage Site in 1999. In the early nineteenth century, Germany’s bourgeoisie had become increasingly self-aware and self-confident. This growing class began to embrace new ideas regarding the relationship between itself and art, and the concepts that art should be open to the public and that citizens should be able to have access to a comprehensive cultural education began to pervade society. King Friedrich Wilhelm III of Prussia was a strong proponent of this humboldtian ideal for education and charged Karl Friedrich Schinkel with planning a public museum for the royal art collection. 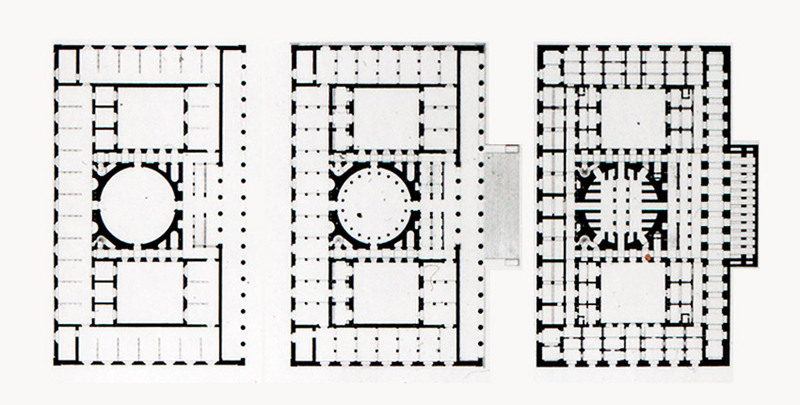 Schinkel’s plans for the Königliches Museum, as it was then known, were also influenced by drafts of the crown prince, later King Friedrich Wilhelm IV, who desired a building that was heavily influenced by antiquity. 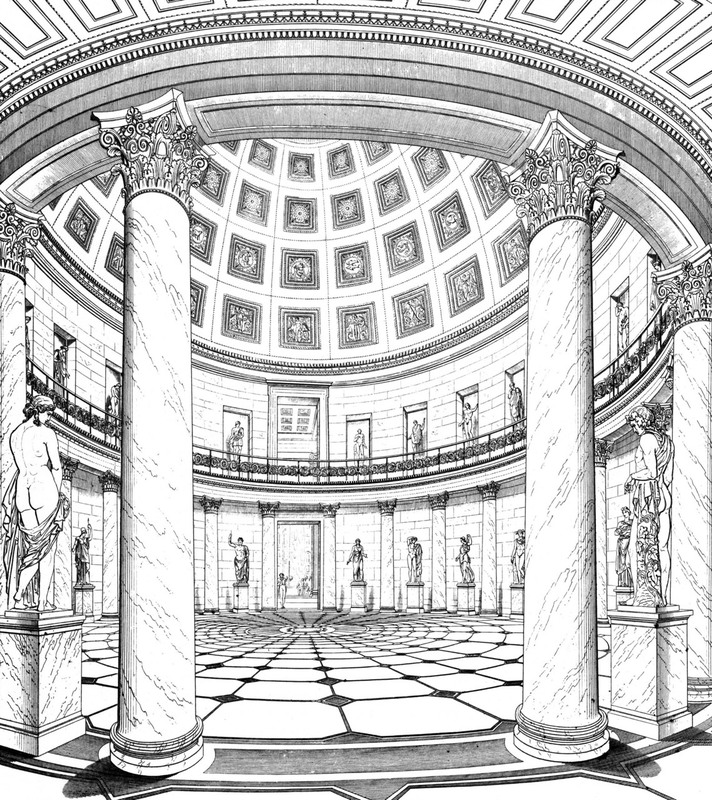 The crown prince even sent Schinkel a pencil sketch of a large hall adorned with a classical portico. …the site required a very monumental building. Therefore I preferred one giant order rather than two individual expressions for the two main stories….The building surrounded on all sides by the Ionic entablature or the Ionic columnar hall, with Ionic pilasters at the four corners, forms a simple yet grand main structure into which the two floors are inserted in a subordinate manner. Schinkel’s plans incorporated the Königliches Museum into an ensemble of buildings, which surround the Berliner Lustgarten (pleasure garden). 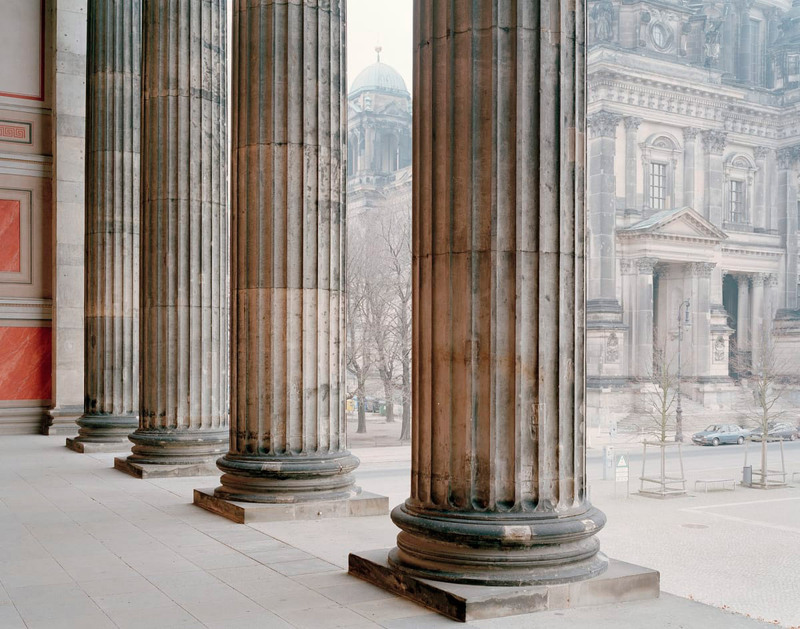 The Stadtschloss in the south was a symbol of worldly power, the Zeughaus in the west represented military might, and the Berliner Dom in the east was the embodiment of divine authority. The museum to the north of the garden, which was to provide for the education of the people, stood as a symbol for science and art—and not least for their torchbearer: the self-aware bourgeoisie. Schinkel had developed plans for the Königliches Museum as early as 1822/23, but construction did not begin until 1825. Construction was completed in 1828 and the museum was inaugurated on 3 August 1830. Schinkel was also responsible for the renovation of the Berliner Dom in the neo-classical style (which was originally a baroque cathedral), and he exercised considerable influence on Peter Joseph Lenné’s renovation of the Lustgarten, which coincided with the construction of the museum, resulting in a harmonized and integrated ensemble. 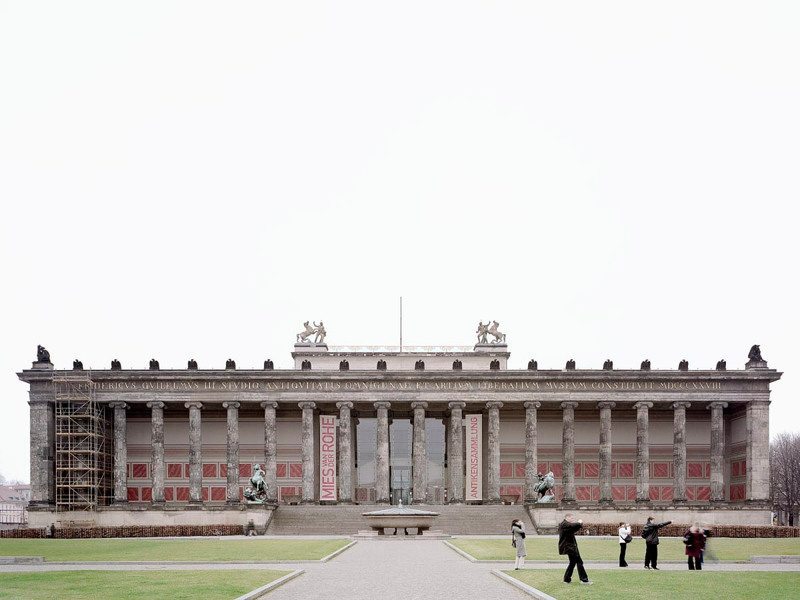 In 1841, King Friedrich Wilhelm IV announced in a royal decree, that the entire northern part of the Spree Island (known as Museum Island) “be transformed into a sanctuary for art and science.” In 1845, the Königliches Museum was renamed the Altes Museum, the name it holds to this day. Karl Friedrich Schinkel From Michael Snodin, ed. Karl Friedrich Schinkel: A Universal Man. p1, 34. 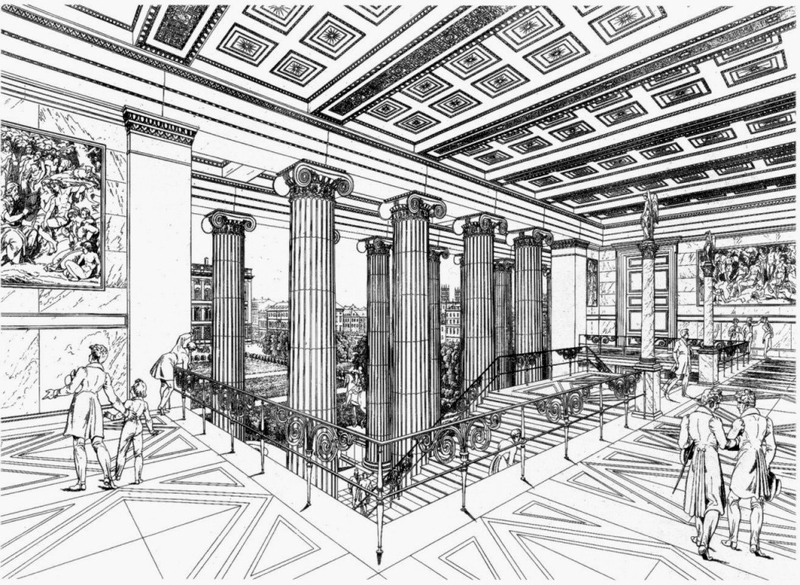 Cite this article: "Altes Museum / Karl Friedrich Schinkel," in ArchEyes, November 30, 2016, http://archeyes.com/altes-museum-karl-friedrich-schinkel/.